Web hosting through the cloud is as big an issue in 2019 as it has always been: you will always need to host your website data in a way that is as safe and sound as it is reliable and easy to use. 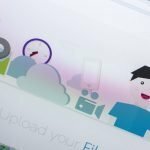 After all, if you opt to have your website set up with any old cloud hosting service—and, especially, if you choose to go with one of the free ones, which are often not as effective as they might appear from their advertising—you risk having your website be offline at odd hours, and risk not being able to access it to modify the content. 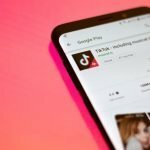 You definitely don’t want these kinds of dangers to come into play when managing your website, since, if viewers see that you have no content available, they will assume that your website is not available in general, and will simply not return. So, what do you do? The obvious answer is to start hosting with a company that you trust. And, in turn, this begs the question: which companies should you trust with hosting all of your website data, if you choose to do so in the cloud? Which companies are worthy and reliable, and will give I the service that they promise they can offer you? Well, this article was written to answer that question. In fact, over the course of this article, we’ll discuss the best cloud hosting, operating through the cloud, that you can find on the Internet today. 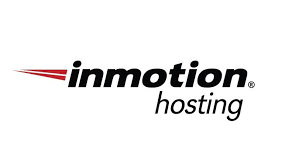 InMotion is a great example of a cloud hosting service that uses all kinds of state-of-the-art cloud tech to offer you the best bang for your buck. You can customize the VPS solutions as will be necessary to resolve your problems. You have access to managed servers to deal with your domains. The servers are fully managed, allowing you to do everything you need to do on them. The starting price, once you’ve signed up with InMotion, is 19.99$. A free SSD drive is included, and you’ll get up to 8 gigs of RAM in your package. Access to the control panel, with an SSL certificate, is also free. 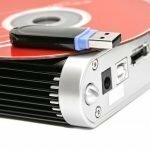 Site transfer is free, as are data backups. The service will allow you to host an unlimited amount of both FTP accounts and MySQL databases. If you like, you can even use the root-access functionality to gain the best possible hosting experience. The free SSDs that come with your subscription will allow your VPS hosting to be 20 times faster. This provider offers security patches at no cost to you, as well as root, reseller, and SSH access, which are provided to you thanks to WHM. The real-time redundancy allows you to protect your website from potential blackouts, and the operating system, CentOS, has the same level of quality required by many businesses. This service has the beginning price of 19.99$ per month for brand-new customers. Owing to its power and capabilities, it’s a great selection for owners of websites and applications that have a lot of incoming traffic. Network uptime is highly efficient at 100%, and the speed of the SSD is incredibly fast. Its virtual services are of high quality, and they are compatible with Windows operating systems. The bandwidth offered goes up to 5000 gigs, depending on your needs. Site migration is free, as is the SSD drive that LiquidWeb will send you so that you can get your website hosting up and running. RAM goes from 30 gigs up to 1.6 terabytes. The VPS plan is compatible with both Windows and Linux OSs, depending on what you’re looking for. 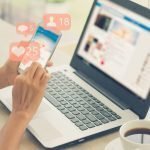 Redundancy is built-in—allowing you to protect your website (and your business) in the event that it goes down at an inconvenient point in time—and it has even been primed for automatic scaling, which will allow you to take care of different spikes and fluctuations in the level of traffic coming to your website. The highly flexible LiquidWeb can easily deal with all kinds of elements involved in cloud hosting—including storage, DANS settings, databases, and firewalls—and the managed hosting plans are top-rated. Backups are built-in as well, and the SSDs will allow you to improve performance without sacrificing speed. The Heroic support—that is, the support-staff employees at LiquidWeb’s call center—are available twenty-four hours a day, and the service also includes DDoS protection and Cloudflare CDN. 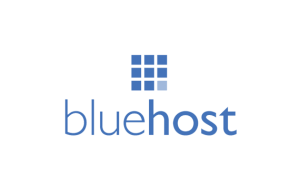 Bluehost is a great choice if you don’t want to use shared hosting anymore. The scaling of resources is fast and easy to manage. You can have domain privacy with this service, as well as a dedicated IP address. The monitoring of resources is smooth and streamlined, and caching is integrated. Different options are available. In particular, you can have 2-8 CPU cores, and the RAM offered goes up to 8 gigs in total. The company will provide you with premium hardware: a CDN and the ability for Varnish caching. Cloud Sites, a new platform available thanks to this provider, will mirror your data in case of redundancy, in the event that your website goes down at an inconvenient time. As well, moving from one plan to another is a flawless process that won’t incur any additional fees. With a standard package, for the first year, you’ll get a 30 – 240 GB SSD drive for free. The service also offers a 30-day money-back guarantee if you’re not completely satisfied with it. You may not have heard of this cloud provider, but it’s a good choice for all of your needs, featuring a highly user-friendly set-up and strong computing power. It remains complex and powerful—offering you a wide variety of options for everything that you ‘ll need doing in hosting your website—while at the same time remaining an interface that’s so simple, most people could use it with relative ease. As a matter of fact, the hosting offered in this service is even managed by the top hosting providers, which you get to choose from—these include Amazon, Google Compute Engine, Kypo, Linode, Vultr, and DigitalOcean—and provides you with all kinds of features that you can use when hosting your website, while remaining as user-friendly as providers with simpler, less detailed offerings. 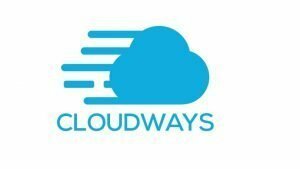 Cloudways functions by hosting your site on one server only and then providing copies of whatever content is placed there. The control panel allows you to This service offers ThunderStack, which can take care of every performance need that you have, from Apache and MySQL to PHP 7 and Nginx. The price starts at the low 10 dollars a month for one core, which also offers 1 gig of RAM, 25 gigs of storage, and 1 terabyte of bandwidth. You can even look at the service, to see if it’s right for you, without providing your credit card information. Features available include one-click cloning, integrated Git, backup and restore, and tools for developers to work together. 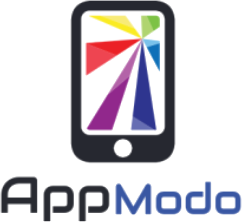 You can easily create a WordPress server app, this app, with other kinds of resources as well. There are also 60 data centers available for people hosting websites with Cloudways; these are located in 25 different locations all over the world. There are also digital centers. SiteGround is growing in popularity, and for good reason: its service is as lightning-quick as it is reliable, even under pressure–it has an uptime of 100%, and it serves as the host for some major websites: WordPress and Joomla, among others. It has data centers in different regions globally. Countless users and websites can share a single server, with their accounts fully separated, and SiteGround provides its users with a safe, secure space to upload their web content. Its cPanel tool also includes built-in tools for safety: IP blacklisting, a firewall, and Spam Assassin. The Linux Containers improve the speed and quality of its functioning, and the company holds so much to its uptime rate that it compensates anyone who has more than 0.1% downtime. SSL functionality allows for efficiently-run e-commerce stores, and prices are decently affordable. As well, the support staff is quite knowledgeable, skilled in answering any question that they might be asked: their training period even lasts from 3 to 6 months. Finally, every day, SiteGround automatically upload backups of every website to its servers, and you can even re-upload older versions of your site, going back to 30 days. 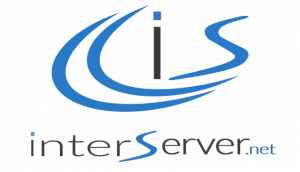 InterServer provides you with a way of both provisioning and configuring your cloud servers so that you can have a high level of flexibility and control in managing your services. You can start using InterServer for as little as 6 dollars for your first month. This service also offers an on-site data center to host your data. In case you’re not satisfied with what you’ve signed up for, there is a money-back guarantee offered. This web hosting service is a good choice if you’re a user with more complex specifications that need to be tended to. In particular, this service is very flexible, to the point that its Droplets system has been characterized around the concept of virtual machines, which can be both sized and personalized to fit in with your precise tastes and specs. The pricing system is highly transparent—you know exactly what you’re paying for, and what you’ll receive with this service—and you can customize your Droplets to get as much power out of your hosting as possible. This is ideal, because, although the standard plans are a good deal—1 core, with 1 gig of RAM and 25 gigs of storage, goes for five dollars a month—they might not be perfect for everyone, seeing as everyone can have wildly different needs when considering cloud hosting providers. Instead, you have the option of scaling the plan that you want, which is accomplished by adding storage, cores, or RAM—all of which will be presented in one single, seamless unit by DigitalOcean’s console. Features included in the different Droplets include alerts, snapshots, automated backups of the whole system, and performance monitoring. Many of these features are free for you, including a cloud firewall and the monitoring functionality. Others do cost money, but they’re priced very reasonably; the snapshot option, for instance, is only five cents per gig per month of usage. Team developers can collaborate on their website together via the Droplets system: for example, they can make use of a special tool to spread traffic around the whole system available, and they can set firewalls up in the cloud. All of this is set at a monthly billing price for you and the fellow owners or managers of your website so that you know what you pay every month—and don’t go over the limit that you set, thanks to the monthly limits that are also offered by the service. 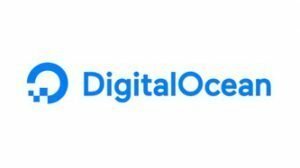 Of course, all of this together means that DigitalOcean is probably a better option for those who are looking to develop more complex websites, including sysadmins and developers, but there’s no doubt that it’s a powerful, useful option for those purposes. Really, it’s no surprise that it’s regarded as one of the better-known web hosting platforms that’s available out there. HostGator is a very well-known cloud-based web hosting service, and with good reason: the prices are very affordable, and you get everything you’re looking for, particularly if you run a small or medium-sized business. The service allows your website to load across many different instances of virtual servers, with the result that hosting is both much more reliable and much more scalable. The service remains user-friendly and easy to master, and the discounts you’ll receive when starting to use HostGator make up for any hesitation that might be on your mind when considering the service. Servers are fully or semi-managed, and you can use root access with them. The website builder, included with every package of HostGator, is completely free and includes thousands of templates, also free of charge. As well, the company offers you a large amount of storage with all the scalability the cloud provides. You’ll find fully managed servers, with access to the control panel, and over fifty scripts that you can install right off the bat. Prices are only a little me expensive than with standard hosting, but you’ll get a lot more usage out of the plans offered by HostGator. One example would be the Hatchling Cloud plan, in which support is offered for one web domain, including up to 2 gigs of RAM. In fact, if you pay ahead by purchasing service for many months at a time, you can even get service for as low as less than five dollars per month. 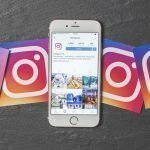 Among other plans, you’ll find the Business Cloud plan, which can be used to support an unlimited number of web domains, and which also offers a hefty discount for brand-new customers. The money-back guarantee lasts a full month and a half (45 days), and you can get 25 gigs up to 3 full terabytes of RAM. This web hosting service is based in the United Kingdom. 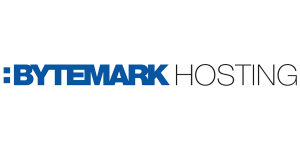 Bytemark provides users with an in-house platform that lets them manage Ruby on Rails, Perl, PHP and MySQL; manage and configure their firewalls; establish rules for treatment of spam; and install backups. Not only will users get access to a command-line client, but they can also automate common tasks; this is achieved via integration with the AP. Also, you’ll access a lot of flexibility, in that Bytemark ’s open-source setup will let you set up an e-mail system, a server, and other elements. You can even configure your servers with a total of 16 CPU cores if you so desire. Uptime is set at 99.99%, and, in the event that uptime is lower than that amount, HostGator promises to provide you with a month’s worth of credit for every time that the server goes down. The standard price for this hosting service is 14$, which includes 1 core, 1 gig of RAM, 10 terabytes of bandwidth, and 25 gigs of storage, in addition to 1 IPv6 address. You can add more to this main package via a flat rate; there are separate flat rates for storage, RAM, and TB for traffic. By spending an additional 2.64$ per each gig of memory, you’ll even have access to a Windows license. A free trial is also offered; this lasts seven days. Finally, if you need to reach the HostGator support staff to discuss issues with them, they can be reached twenty-four hours a day, seven days a week, for every day of the year. You can also use the portal offered by the company to look at video tutorials and search the forum boards for solutions. Everyone knows that Amazon is the most successful online vendor in the world—and the reason its creator, Jeff Bezos, is one of the richest people on Earth. But did you know that Amazon offers a hosting service as well? In fact, this cloud hosting service has been present for a long time now and is optimal for business owners for all stripes. In its hosting, Amazon allows you to control different aspects of your website—content delivery, storage, computing, networking, and databases—which you can customize according to the needs of your business. 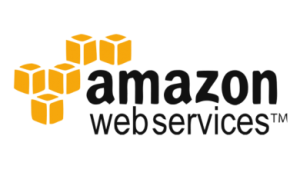 Amazon Backend will help you in rendering your website compatible with Internet-of-Things-enabled systems, and Amazon Snowball will help you store a lot of data in the cloud. Amazon SageMaker is responsible for the machine-learning end of things, as are quite a few other services, and there’s also Amazon Aurora, a system for relational databases that can be used in conjunction with MySQL. The price you pay will depend on what services you’ve ordered, but it will always be reasonable vis-à-vis the quality that you get. So, there you have it: the best cloud hosting services that the modern-day Internet of 2019 has to offer you. If you would like to continue maintaining a high-quality website, by using a cloud service, to host all of your data, then you would do well to choose one of these services for your beloved Internet platform. However, if you do find that these choices aren’t compatible with your needs or tastes, you can always find other cloud-based services that offer the same level of quality in their web hosting. You simply need to do your research to find the service that fits you best, in terms of your needs, tastes, desires, and price you’re willing to pay. These big providers never gives you custom or complex solutions. so for hosting one should always go with small or medium scale providers.